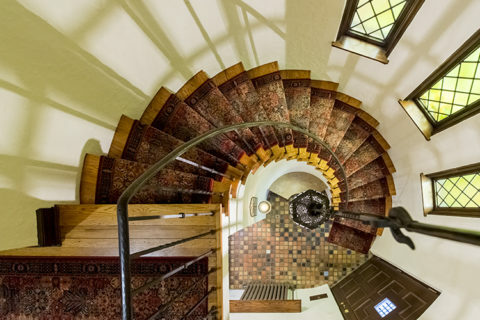 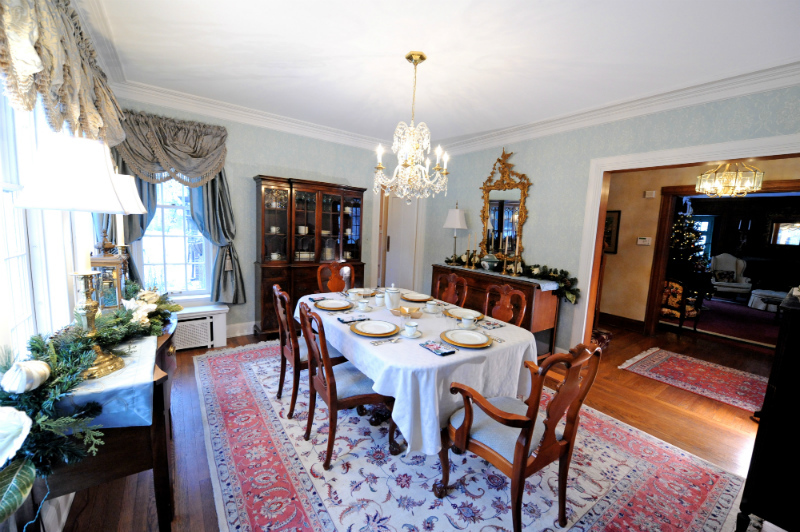 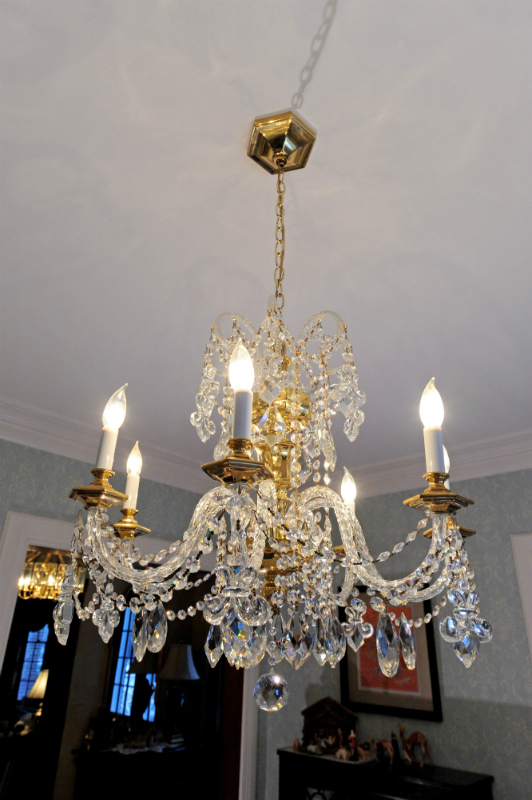 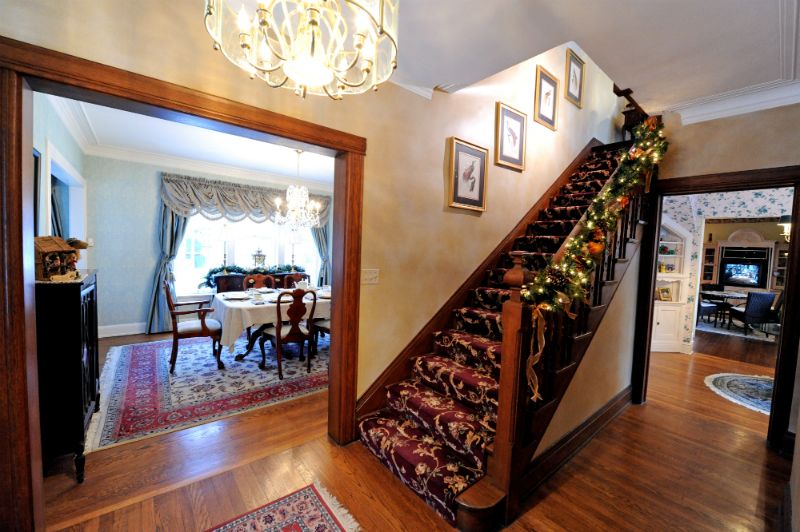 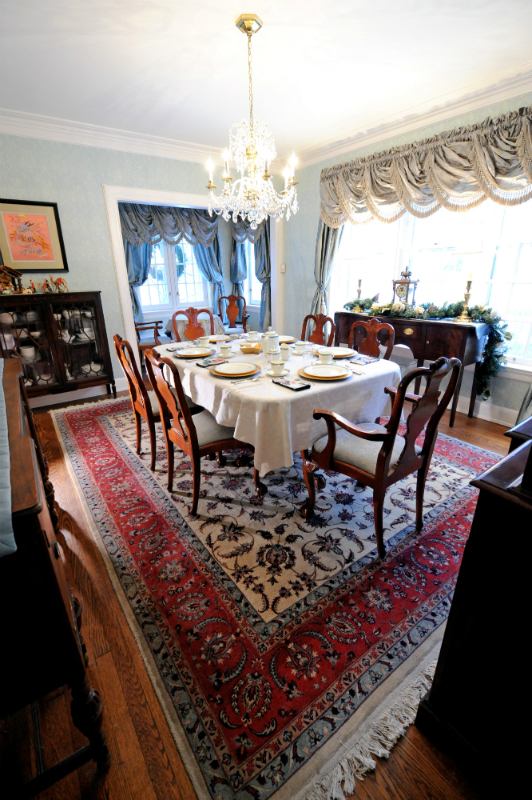 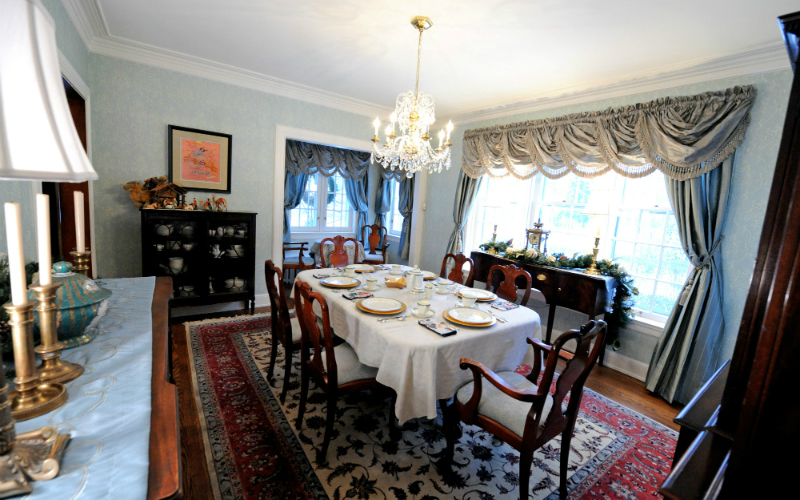 This Shaker Heights dining room remodel features a major plaster repair, faux finishing, wallpaper and new carpet that together create a classic, yet new look. 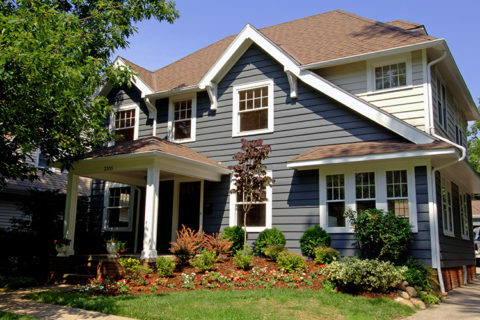 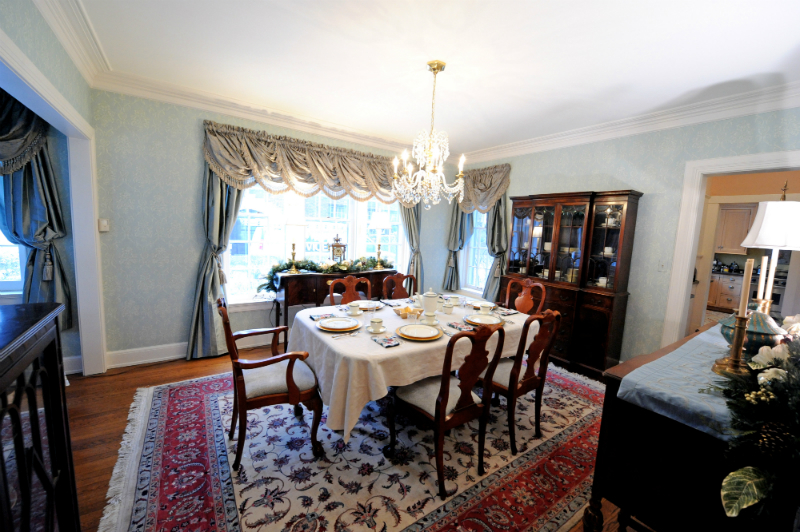 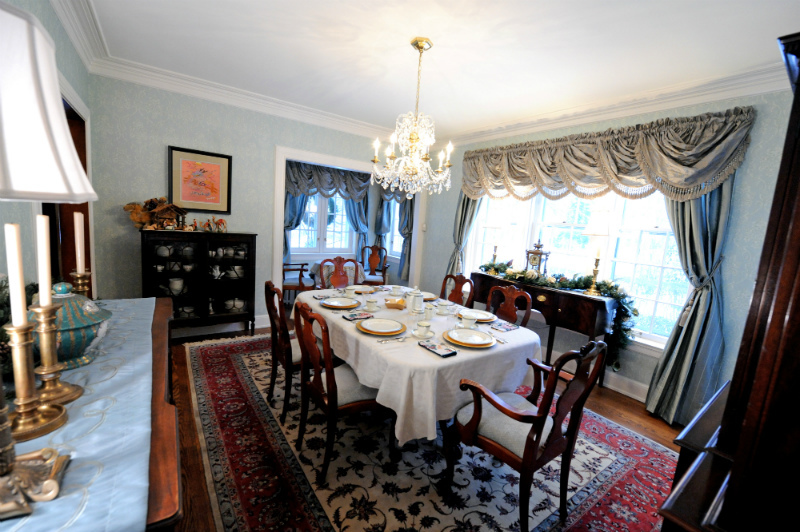 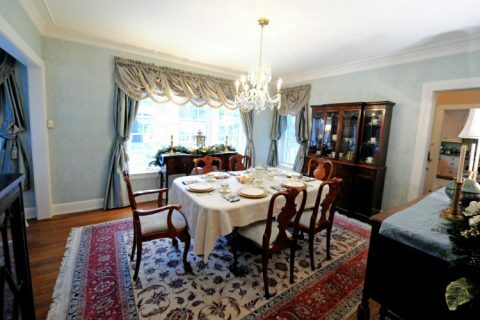 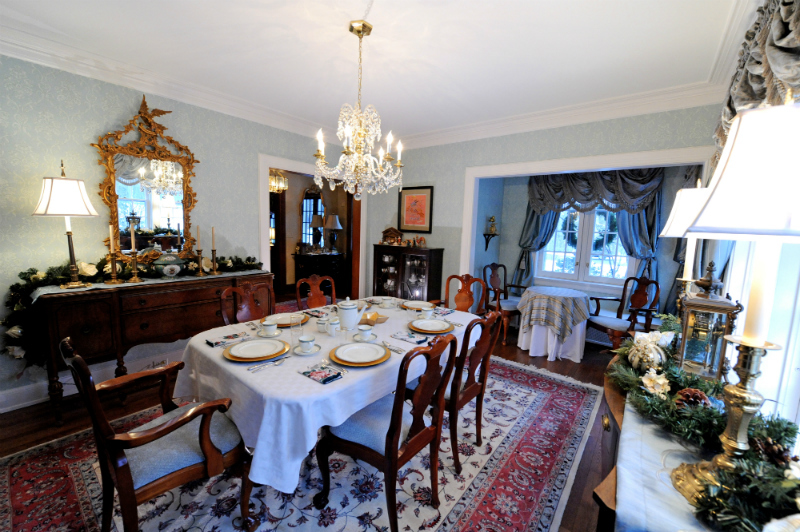 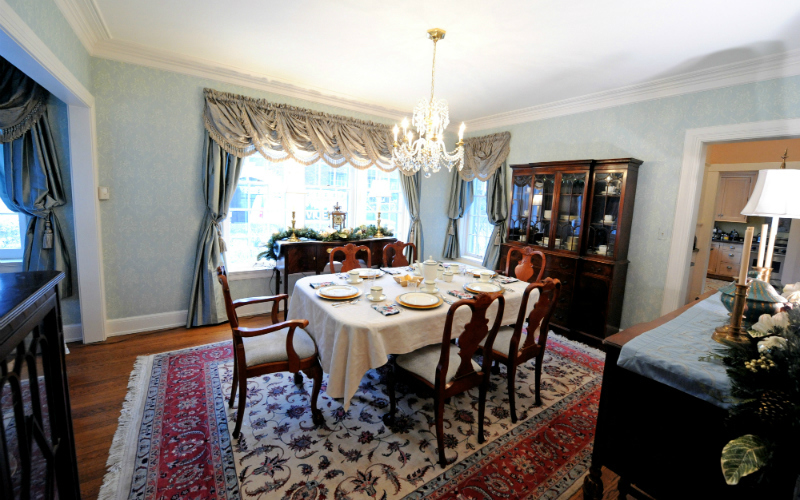 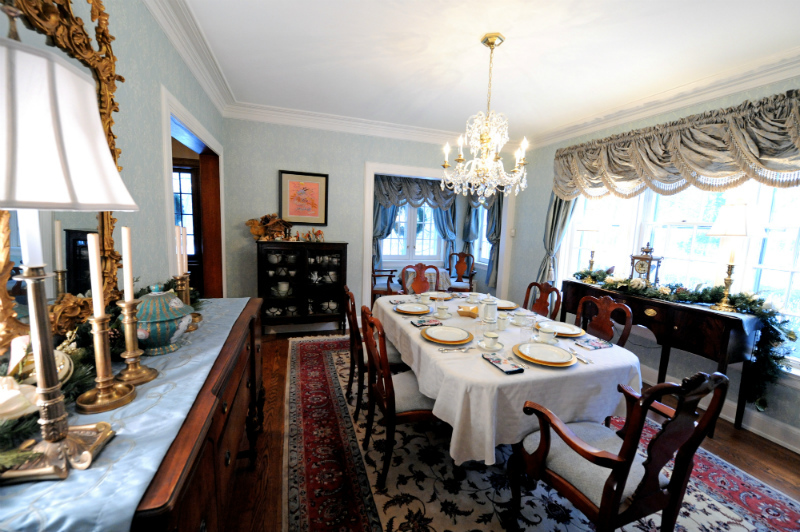 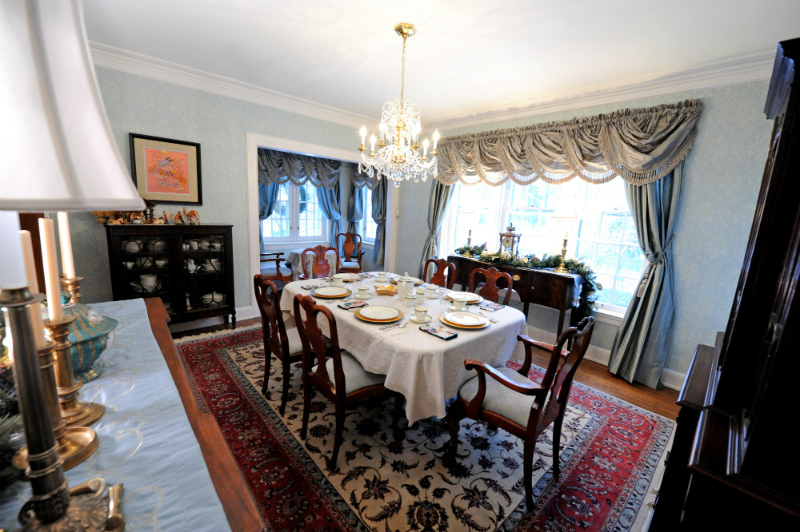 The dining room is spacious and comfortable enough for large family gatherings. 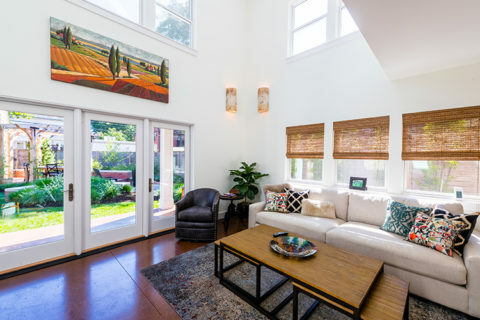 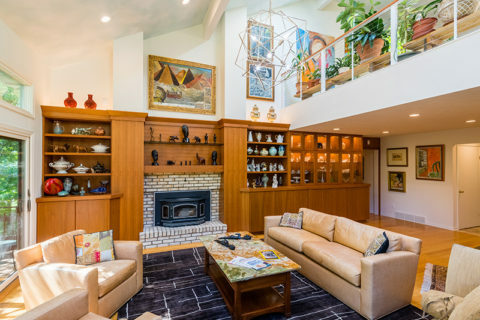 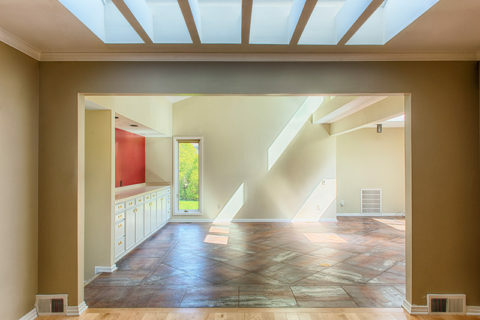 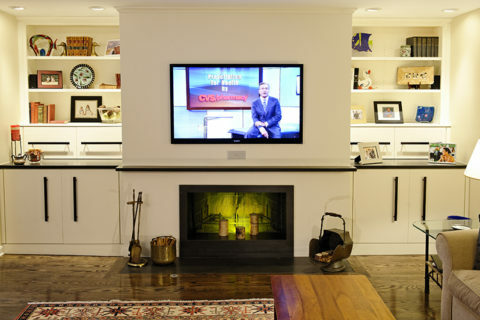 This room sets the tone and feel for much of the public space in this house.